Gaurav is an affiliate partner of SUM. He is a master architect of business performance transformations. Having created a strong grounding in the “hard stuff” (strategies, structures, numbers) of performance transformations in the first half of his career, he is now focused on the human dimension of making the “hard stuff” work. 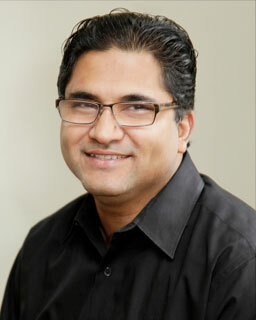 He has designed and delivered programs that have created transformational shifts for top teams and frontline employees across multiple industries (financial services, basic materials, manufacturing, health care, high tech), business challenges (operational improvements, high performance culture, mergers, sales transformations, turnarounds) and geographies (North America, Africa and India). My journey in this space started with work I did on myself and my organization (McKinsey and Company, South Africa). After many failed attempts, we were able to step-change both performance and employee engagement and make the Johannesburg office one of the best performing offices across the McKinsey system. Just as importantly, after many years I felt an enormous sense of wellbeing and vitality from connecting to meaning and developing a deep awareness of my internal processes and mindsets. Organizations don’t transform; individuals do. The organization reaches tipping point when a critical mass of individuals transform. To make this happen, deep yearning and commitment need to be awakened within the individual along with the creation of supporting and sustaining conditions in the environment for the individual to express his/her transformation.